Recently, I ran the Carrera de los Muertos 15K — the Race of the Dead — which was a 3 mile stretch through Chicago’s Pilsen neighbourhood. While on the race, we passed a restaurant named Nuevo Leon and I had mentioned it to a friend who was also running in the race. She informed me that after Nuevo Leon had experienced a fire, the owners opened Cantón Regio across the street. After hearing many people speak of how good the food was at Nuevo Leon, there was no reason why I couldn’t make my way back to 1510 W 18th Street to get a sample. My friend who ran in the Race of the Dead, a mutual friend, and I met one late afternoon through dinner for some Mexican food well worth repeat visits. There is a bit of the woodsy look on the inside, spacious, and with enough tables to entertain several parties. And it’s not loud, so you can have conversation and enjoy all the good eating. Acknowledging their cash-only policy and option for bringing our own beverage, we arrive with empty tummies that we filled. 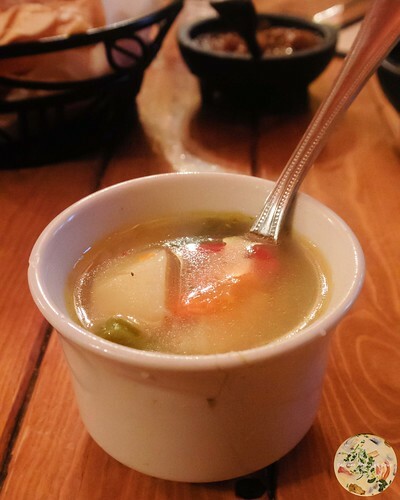 There was complimentary broth with chicken and vegetables that was quite nice, no doubt a good option for fighting the common cold during our chilly months. We ordered brochetas pollo y camarones. 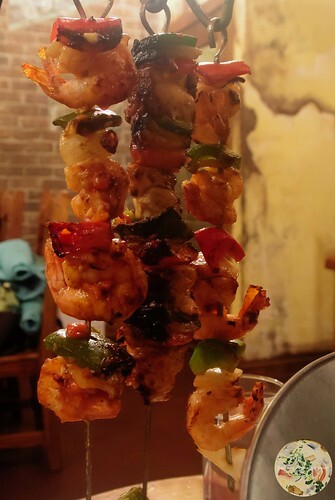 These skewers of chicken and shrimp with bell peppers and onions were outstanding. Accompanied with tortillas, wrapping the tender chicken, shrimp, and vegetables in the tortillas resulted in pure culinary bliss. For the next menu item, we ordered a kilo of arrachera. I am the first to say that I like skirt steak, but after not being able to shut up about how good it was at Cantón Regio, I may be the first to be head over heels for how good it tasted here. The meat was cooked well, but had the texture and succulence of medium well preparation. The cebollitas cambray, spring onions, and roasted red peppers that came with it left a lasting impression on my palate. With the rest of the tortillas and cups of pinto beans in a savoury gravy, we worked this large platter to completion. Along with our fourth bottle of wine, we finished with a flan. 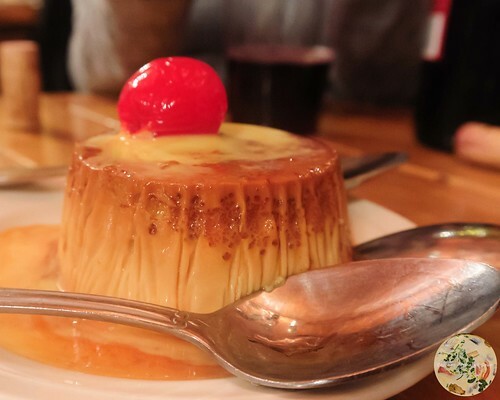 Whether prepared on the premises or at a bakery, flans are always a delight. And the same was the case here. The texture was slightly creamier than gelatinous, and that is absolutely perfect. Topped with a cherry and drizzled with caramel, we wrapped up a long meal and then had to deal with fighting sleep. 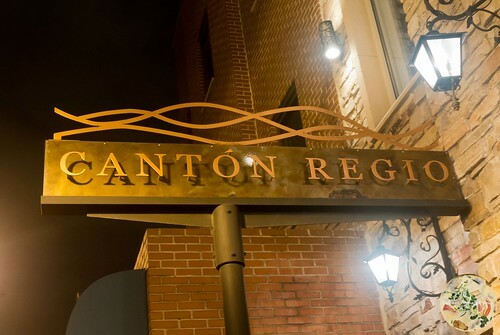 Cantón Regio is clearly a neighbourhood favourite and a magnet for those outside of the Pilsen area. 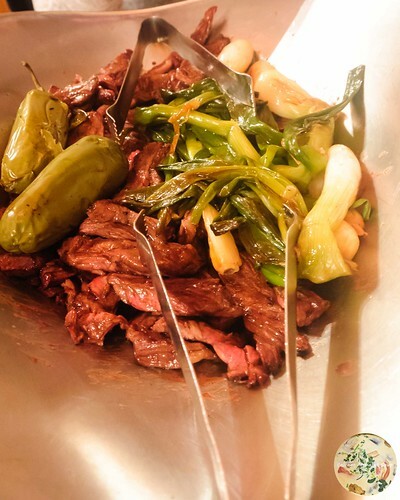 You can probably guess that the food is simply some of the best authentic Mexican food in the city, but the service also makes it have great appeal. There is no rush, so diners clearly take their time to indulge everything in front of them. Again, there is a cash-only policy, but the prices are extremely reasonable for the portions you get. There is also a BYOB policy, so grab some cervasas or a bottle of wine and make a date. It’s a given that I will return in a few weeks for some more arrachera. Sumptuous-looking photos. Not sure if you did anything different this time but they stand out. Given the bottles of wine we imbibed, it’s surprising that I had a steady hand for taking the photos. 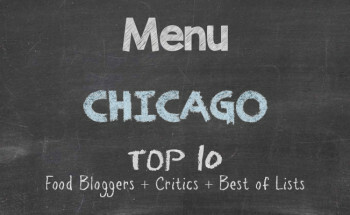 Going back to the neighbourhood to sample from several other restaurants.